Want to read the honest review of Bluedriver vs FIXD before buying either of them? Then you’ve landed on the right page. In more recent times, there has been the development of Bluetooth enabled OBD II scanners. These give you your choice of the display because your mobile device is your display method as well. Among the best of these Bluetooth enabled OBD II scanners are Bluedriver vs FIXD. The Bluedriver vs FIXD is a comparison of the two Bluetooth scanners. In the comparison of Bluedriver vs FIXD, the Bluetooth capability is one of the main features to be considered. Both scanners have Bluetooth connectivity to various mobile devices. The number of vehicle systems each device scans is another feature to be considered. 3 Bluedriver vs FIXD: Who should buy it? FIXD App can monitor up to five vehicles simultaneously. 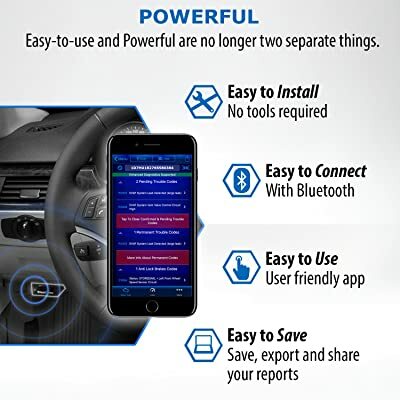 This means that you can place a FIXD device in all of your family member’s cars. The FIXD Scanner comes with the latest Bluetooth technology. This Bluetooth device connects to your phone whether it is Android or iOS. All you need to do from there is to download the FIXD application on your phone. The benefit this offers is that your device’s display determines the display of the FIXD scanner. So if you want to display on a bigger surface, you can simply get a device with a larger screen. Connectivity is almost instant guaranteeing you a functional device. The FIXD can only scan the engine system. The device was specifically manufactured to monitor the health of the engine system. If your engine light is on, the FIXD device will scan the engine system to discover what the issue is. From here, it will give you the potential consequences of these issues. Additionally, it gives defines how these potential consequences will have an impact on your car. This helps you determine how soon your repairs are due. The FIXD Scanner is compatible with all OBD II protocols. This means it should function with all vehicles that are OBD II enabled. So far, there have been no reports as to any vehicle refusing to connect with the FIXD scanner which is good news. The mobile applications function for both iOS and Android. This renders the device compatible with both mobile systems. Some say on their devices the connection lasted as little as one day. This is an issue that requires urgent attention. Then, you simply monitor each from your phone. You can easily monitor it through FIXD App on your phone. This feature also makes it convenient for mechanics wishing to monitor several vehicles at a go. 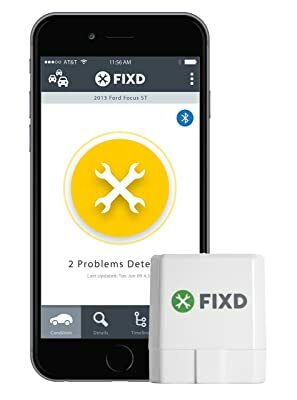 The FIXD application gives you an estimate on the price of repairs. This way, you can determine how much repairs will cost you even before you get to the repairs shop. 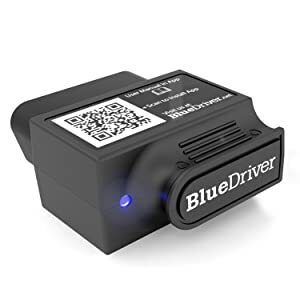 The Bluedriver Bluetooth Professional OBDII Scan Tool is a product for hands-on drivers. Hence, those who want to be ahead of their maintenance schedule will find this tool useful. Bluedriver Bluetooth OBD II Scan Tool has the latest in Bluetooth technology. The Bluedriver scanner connects with the Bluedriver mobile application via Bluetooth. The app is available for both iOS and Android. This gives you your choice of display. The device gives you enhanced diagnostic features. They can cover a lot of vehicle systems including the SRS airbags, climate control, ABS systems among several others. The device gives a complete diagnostic report on several types of vehicles from a wide range of manufacturers. The Bluedriver team send regular updates that increase vehicle systems coverage. The enhanced diagnostics from Bluedriver includes the number of vehicles it is compatible with. VW brands sold in North America. It is compatible with all OBD II protocols. This feature renders it compatible with all vehicles that are OBD II enabled. The device can only scan one vehicle at a time. One Bluedriver app can only connect to one Bluedriver scanner at a go. The price estimator feature for Bluedriver is the Identifix database. Using this database, you get a wide variety of potential fixes for your vehicle. These fixes are all sourced from professionals around the globe. The Identifix database contains over 30 million potential fixes making it one of the largest in the world. Because these fixes are from reliable sources, you can easily estimate the prices. All you need to do is tell the mechanic of the service you require and they will give you the estimated price for the service. Bottom Line The Fixd car health monitor is made for hands-on drivers. Bluedriver is a great pick for car Enthusiasts and DIYers. The number of vehicles that each of the devices can monitor simultaneously is another major factor of consideration. The last factor of consideration is the price estimator feature in both the devices. These are the major factors of consideration in the FIXD vsBluedriver comparison. Bluedriver vs FIXD: Who should buy it? FIXD is a device that is mainly suitable for beginners. It presents vehicle issues in plain English which will be easy to understand for a beginner. A professional might find this device lacking enough diagnostic tools. From the foregoing, the Bluedriver seems to be the ideal tool for both professional mechanics as well as DIYers. It has the requisite tools to make it ideal for a professional but remains simple enough for the common DIY. In the above Bluedriver vs FIXD comparison, it would appear the Bluedriver is the better device. It easily scans and diagnoses more vehicle systems as compared to the FIXD. 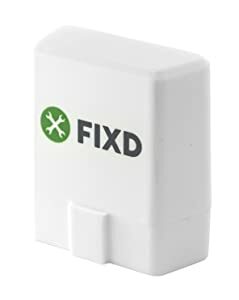 The FIXD also faces several negative reviewers who report that it does not connect well, if at all, after a short period of usage.